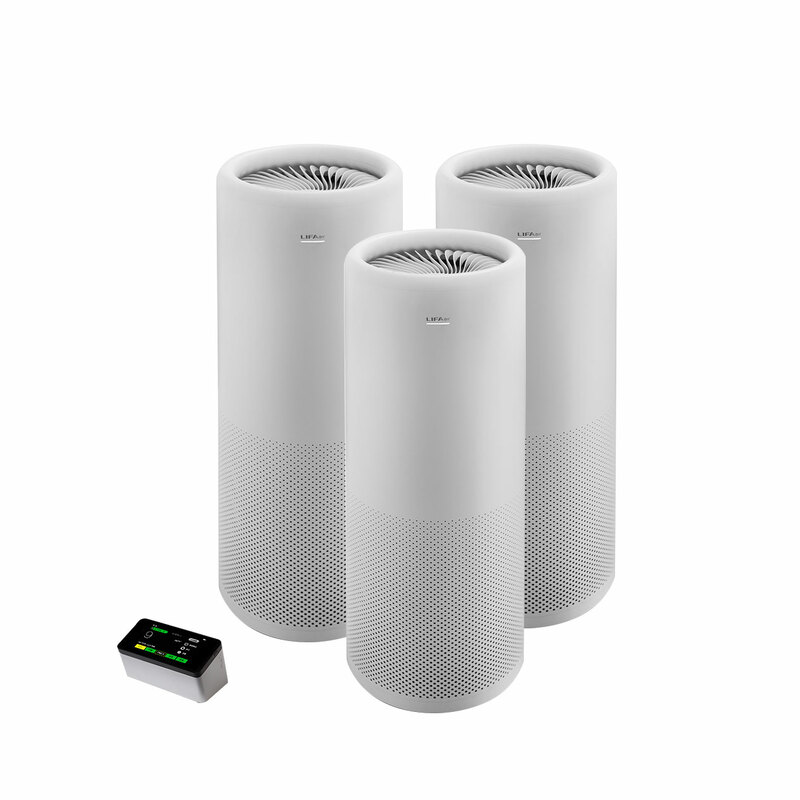 Independent Indoor Air Quality monitor controls the air purifier according to current levels of Carbon Dioxide, Particular Matter and TVOC's or HCHO. The readings can be seen from the monitor or mobile phone. No buttons are needed in LA502, the purifier can be elegantly controlled by sweeping.